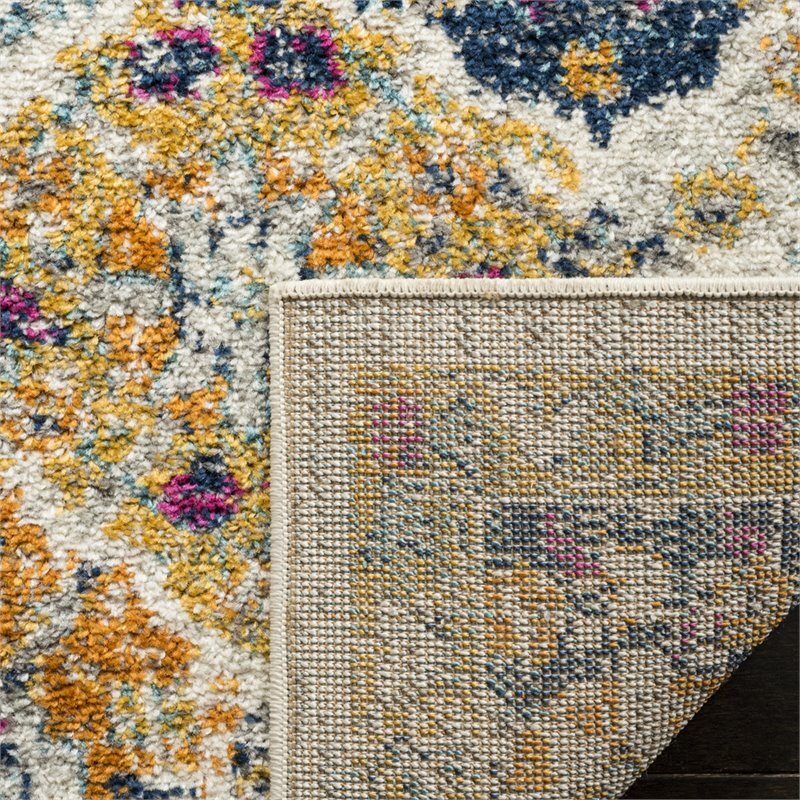 A captivating interaction of timeless rug design and contemporary styling come together in this fashion-smart, transitional floor covering. 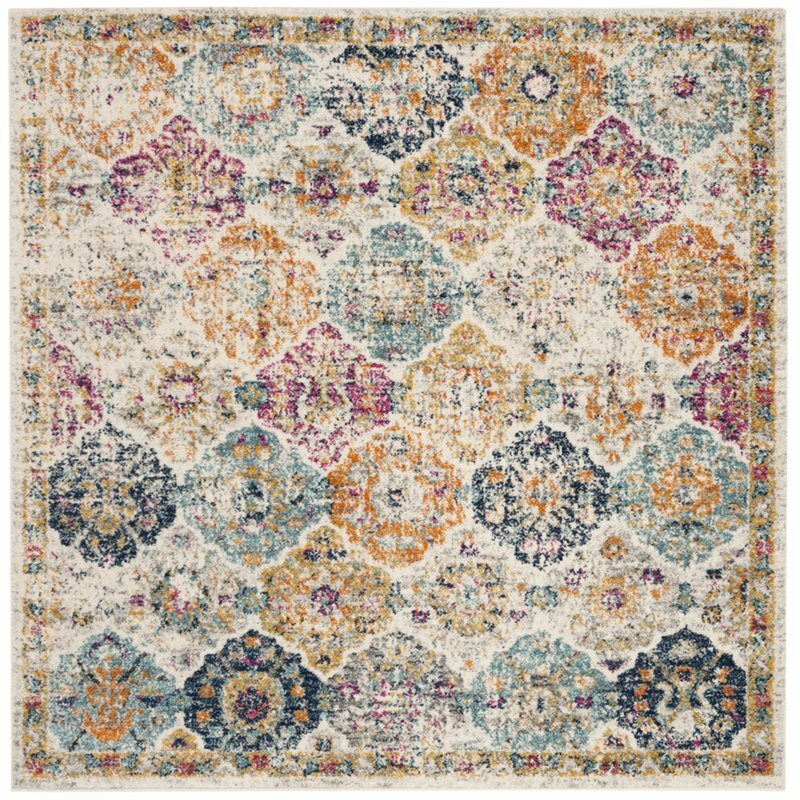 An elaborate mosaic of floral medallions is colored in alluring, gradient hues of blue and orange lending a coveted distressed, heirloom-look and feel to this elegant area rug. 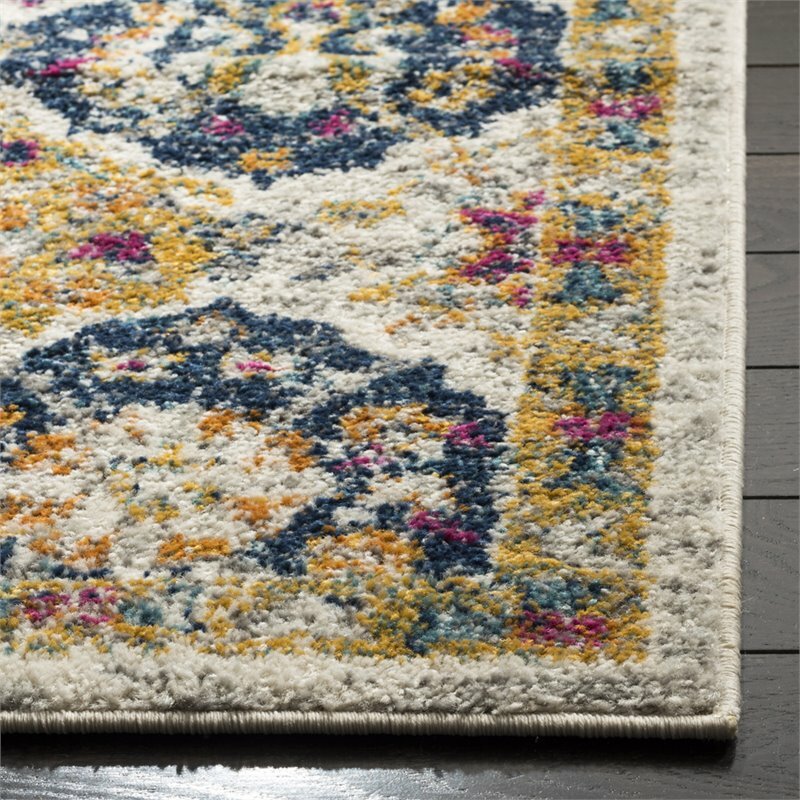 Power loomed from luxurious synthetic yarns for a shimmering finish and lasting beauty.